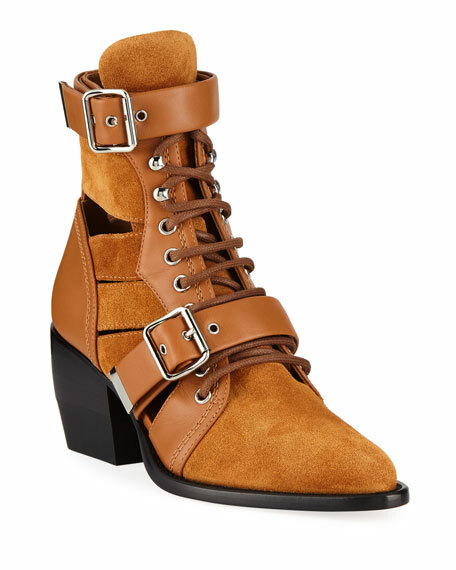 Chloe leather and suede booties. 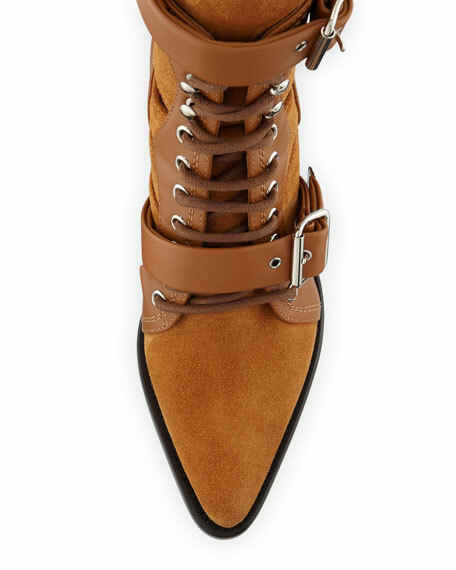 Buckle straps over lace-up front. "Rylee" is made in Italy. 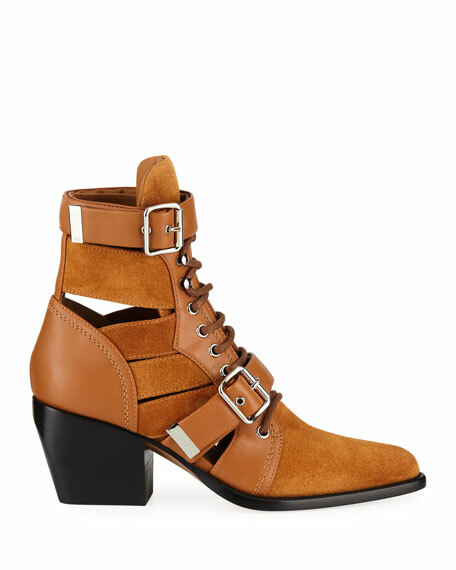 Aquatalia shiny patent leather booties with waterproof finish. Shaft, approx. 4.1"H with 9.4" opening. 2" covered heel. Pointed toe. Side zip eases dress. Neoprene lining. Traction outsole. "Marilisa" is made in Italy. 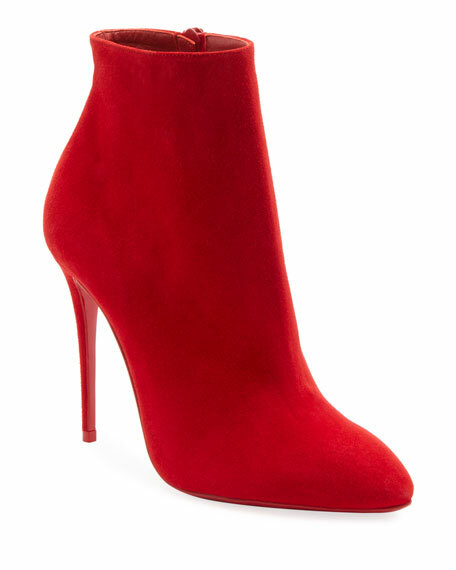 Christian Louboutin calf suede booties. 4" covered stiletto heel. Pointed toe. Side zip eases dress. Signature red leather outsole. "Eloise" is made in Italy. 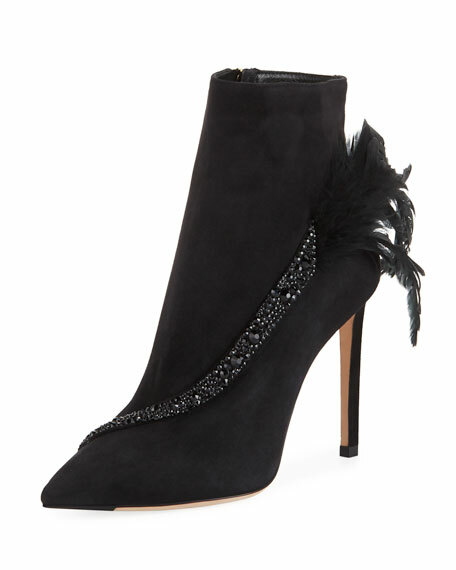 Jimmy Choo suede booties with radial crystal stripe and rooster feathers at the side. 4" covered stiletto heel. Pointed toe. Side zip eases dress. Leather lining and sole. "Kassidy" is made in Italy.